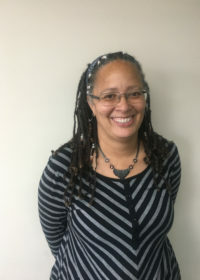 Denise Tuggle has been the Developmental Services Advocate for Districts 6 & 7 (Penobscot, Piscataquis, Hancock, and Washington Counties) since September 2017. Before Denise came to DRM, she served young adults, children and their families as a social worker. She received her BA in Sociology from Bryn Mawr College and her Masters in Social Service Administration at the University of Chicago. She has based her entire professional life on the idea that the world is a better place when every individual is supported in being themselves fully, that this is a basic right of every person, not the privilege of a special few.